Saturday Sept 2nd: Moon v/c at 12:30pm. Moon enters Aquarius at 4:06pm. Celtic Tree Month of Vine begins. The Celtic meaning of the vine in druid lore is ripe with symbolism. The vine is a theme repeated over and over in Celtic art. Interconnections and winding vines are commonly seen on tapestries, writings, knot work and carvings. This indicates the symbolism of connection, eternity, and diversity (branching and expanding in new directions). The druids classified anything with a woody stalk as a tree, and so therefore it is listed vines among the sacred Ogham ranks. Further, grapevines typically come to mind when discussing vines, but it was more likely the blackberry vines that captured the hearts of the ancient Celts. In the Druid perspective, the vine earned its symbolism from its growth patterns. They recognized the vine grows opportunistically, and would dig in wherever feasible in order to gain a strong foothold to assure its own growth. This is a powerful metaphor of "going with the flow" or "growing where you are planted." In other words, it is a message that when we observe the best of our environment/situation and stay in a relaxed, flowing state of mind, will likely gain our highest advantage. Nevertheless, in spite of the philosophical urgings to take things as they may come, the thorns of these vines are symbolic of defending or protecting ourselves when necessary. Monday Sept 4th: Happy Labor Day. Tuesday Sept 5th: Moon v/c at 1:15am. Moon enters Pisces at 1:28am. Mars enters Virgo at 5:35am. 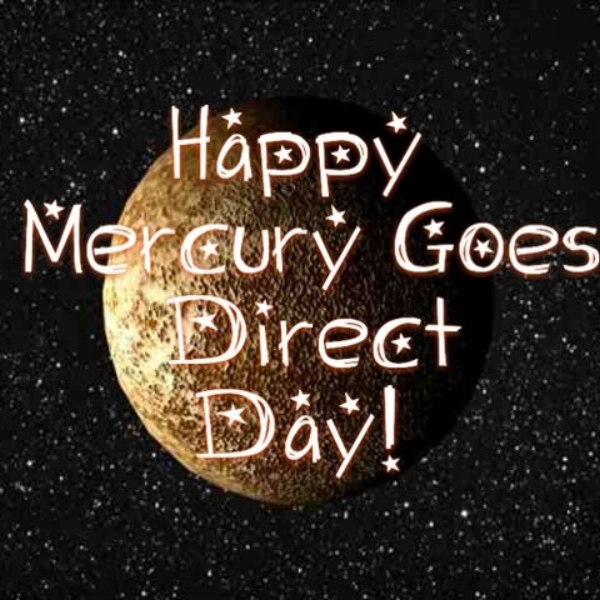 Mercury goes direct at 7:29am. Wednesday Sept 6th: Full Moon in Pisces at 3:03am (EDT). Moon v/c at 4:29pm. Pisces moons focus on dreaming, intuition, psychic energy, and compassion. It is also a creative time. We become more sensitive and our empathy is heightened. A great time for meditation, getting lost in music, poetry and using our imaginations. If you can, spend time near a body of water. The full moon in Pisces and sun in Virgo focuses on healing. Mainly healing ourselves. We need to reconnect to nature and to our souls. What needs to change, to become better as a being? Last month’s eclipses’ energies are still active and making changes. Let go of the past and things that you can not control and focus on the things that you can do something about. Be very clear about your dreams and intentions. Be compassionate towards yourself. Neptune is conjunct the moon and at opposites with the sun, making you an emotional sponge and very vulnerable. I suggest to spiritually and emotionally protect yourself. Your intuition will be on overdrive. On the positive side, Neptune supports psychic insight. On the negative side, it is the master of deception. Confusion is in the air. Which intuitive messages are prophetic and which are illusions? Thankfully Mercury went direct on the 5th. Spend some time alone and meditate on these messages, sort out what is real and what isn’t. Thursday Sept 7th: Moon enters Aries at 8:01am. Friday Sept 8th: Happy birthday to my dear friend Mari! Saturday Sept 9th: Moon v/c at 11:52am. Moon enters Taurus at 12:23pm. Mercury enters Virgo at 10:52pm. Sunday Sept 10th: Moon v/c at 8:54pm. Monday Sept 11th: Moon enters Gemini at 3:29pm. Wednesday Sept 13th: Fourth quarter of the moon cycle begins at 2:25am. Moon v/c at 2:35pm. Moon enters Cancer at 6:12pm. Thursday Sept 14th: Happy birthday Bella! I hope your birthday is full of fun and happiness! Friday Sept 15th: Moon v/c at 5:23pm. Moon enters Leo at 9:09pm. Sunday Sept 17th: Moon v/c at 8:55pm. 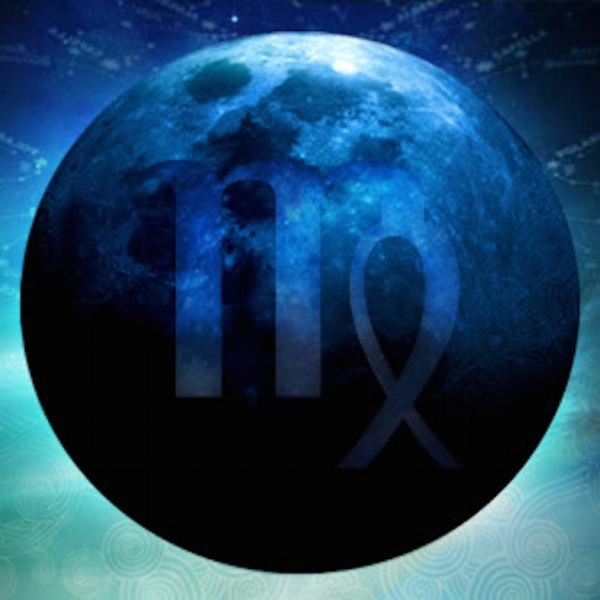 Monday Sept 18th: Moon enters Virgo at 12:52am. Wednesday Sept 20th: Moon v/c at 1:30am. New Moon in Virgo at 1:30am(EDT). Moon enters Libra at 6:06am. Virgo moons focus on health, healing, getting organized, service to others and paying attentions to details. An excellent moon sign for cleaning, detoxing and refining goals. Go through your plans, step by step. Finish up your to do lists. Also a good time for games and puzzles that challenge your mind. We are still being influenced by last month’s total solar eclipse. Major changes are still being made. Jupiter is opposition Uranus, making sudden huge changes very hard, especially if we are stuck in our ways. Sun, Moon, Mercury, Venus and Mars are all in Virgo during this new moon. Lots of earth and grounding energy. There is also some nervous energy in the air, making us anxious and tense. Keep in mind that this much Virgo can cause us be overly critical. This new moon will bring up past painful memories and wounds. We must heal these wounds to move forward. This can be upsetting but remember these are memories and are not happening in the present. Some of us may feel like we are thinking very clearly but things are not as the appear. Your judgements can be clouded and biased at the moment without you realizing it. Just wait it out before making any life changes on a whim. Especially if it just appeared out of nowhere. Reexamine your goals and make alterations if needed. Thursday Sept 21st: UN International Day of Peace. Friday Sept 22nd: Moon v.c at 9:04am. Moon enters Scorpio at 1:40pm. Sun enters Libra at 4:02pm(EDT). Happy Mabon/Fall Equinox! Sunday Sept 24th: Venus enters Leo at 1:45am. Moon v/c at 3:33am. Monday Sept 25th: Moon enters Sagittarius at 12:01am. Wednesday Sept 27th: Moon v/c at 7:08am. Moon enters Capricorn at 12:24pm. Second quarter of the moon's cycle begins at 10:54pm. Thursday Sept 28th: Pluto goes direct at 3:36pm. Friday Sept 29th: Moon v/c at 8:14pm. Mercury enters Libra at 8:42pm. Saturday Sept 30th: Moon enters Aquarius at 12:40am. Celtic Tree Month of Ivy begins. Among other cherished qualities of the Ivy Celtic tree astrology sign, most prized is your ability to overcome all odds. You have a sharp intellect, but more obvious is your compassion and loyalty to others. You have a giving nature, and are always there to lend a helping hand. You are born at a time of the waning sun so life an be difficult for you at times. This sometimes seems unfair because it appears that obstacles are coming at with no prompting on your part. Nevertheless, you endure troubling times with silent perseverance and soulful grace. Indeed, Ivy signs have a tendency to be deeply spiritual and cling to a deep-rooted faith that typically sees them trough adversity. You are soft spoken, but have a keen wit about you. You are charming, charismatic, and can effectively hold your own in most social settings. Ivy signs are attracted to the Celtic tree astology sign of Oak and Ash signs. The Celtic meaning of the ivy deals with connections and friendships because of its propensity to interweave in growth. Ever furrowing and intertwining, the ivy is an example of the twists and turns our friendships take - but also a testimony to the long-lasting connections and bonds we form with our friends that last over the years. Another tribute to friendship as well as the test of time is the ivy's ability to grow in challenging environments. The ivy is incredibly durable and can withstand harsh conditions. This is symbolic of our ability to stick by our friends no matter what. It is also a symbol of vibrancy as the druids admired its bright green hue. Often, sprigs of ivy would be woven into chain necklaces or head adornments to represent clarity of thought as well as celebrate the vitality of nature surrounding them. The ivy is also a symbol of survival and determination for the same reasons. It seems to be virtually indestructible and will often return after it has suffered damage or has been severely cut back. This is an example of the human spirit and the strength we all have to carry on regardless of how harrowing our setbacks may have been. Lasly, most ivy has five-pointed leaves which makes it a symbol of protection as it signifies the harmony of the elements unified by common bonding energy.